In January of 1848, 170 years ago, a carpenter named James Marshall found gold in the American River, kicking off the California Gold Rush. Hundreds of thousands of people migrated west with hopes of getting rich, and members of the Neuharth family were among them. Although they didn’t strike gold, they did strike rich, fertile soil at the Sacramento Delta. At that time, the Delta was a primary mode of transportation through Northern California, and it was critical in transporting both people and goods between Sacramento and San Francisco. Recognizing this advantageous location, the Neuharth family planted their roots on Sutter Island, where the Sacramento River and Steamboat Slough merge together. 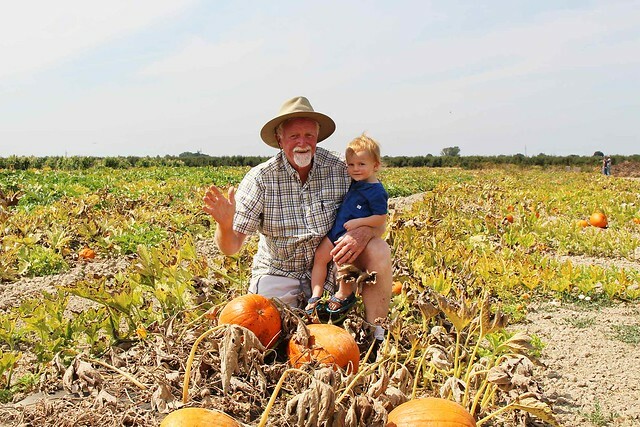 Their certified organic farm, Steamboat Acres, has been growing ever since. Nestled in quaint Courtland, California, the Bartlett Pear Capital of the World, Steamboat Acres is a 300-acre farm that is primarily focused on certified organic pears. Some of their pear trees are over 100 years old. 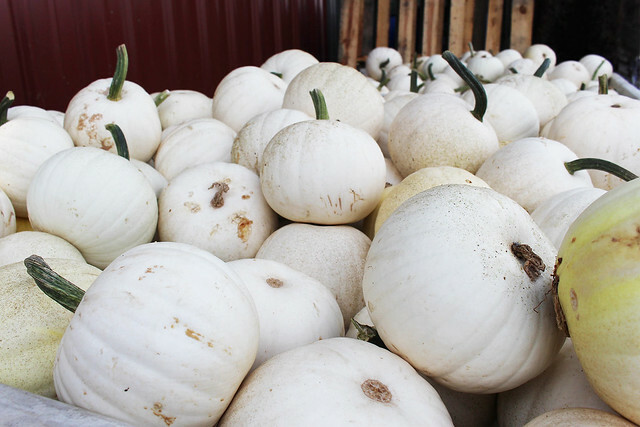 They also grow a wide variety of squash, gourds and pumpkins, as well as wine grapes that are used by local wineries. Beyond just growing produce, the Neuharth family have been key influencers in growing the agricultural region. 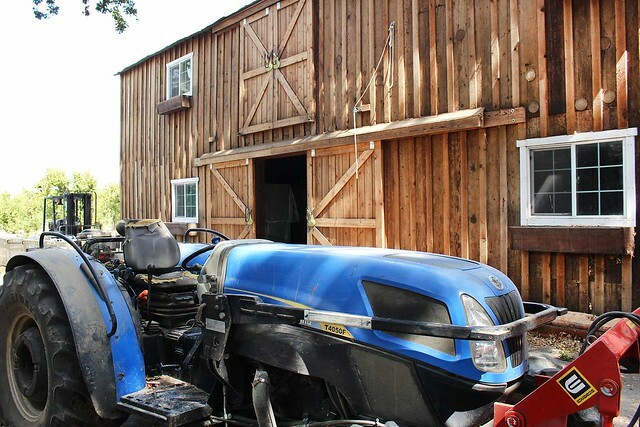 Steamboat Acres is a founding member of the Sacramento River Delta Grown Association. Through agri-tourism and agri-education, the association aims to promote agricultural sustainability and profitability of local farmers while preserving natural resources, environmental ecosystems, and rural heritage. Tim Neuharth, the fifth-generation farmer of the family, recalls a radio segment in the 1980’s that examined the state of the farming industry. One caller in particular caught his attention when she declared, “I don’t really care what happens to farmers. I get my food at Safeway!” Recognizing the disconnect between consumers and their food source, the Neuharth family became very passionate about educating others about the importance of supporting local farmers and eating locally. Tim’s son, Michael Neuharth, and his daughter-in-law, Tara Neuharth, both are very active in the family business now. They continue to promote agri-tourism and agri-education by holding events on the farm throughout the year that are open to the public, as well as regularly giving school tours to help educate children about where their food comes from and the importance of farming. 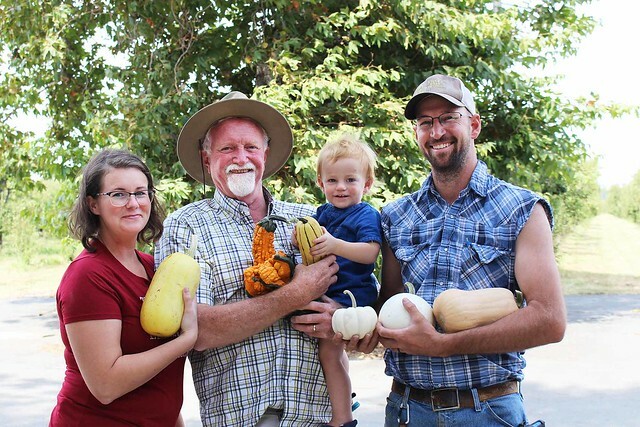 Michael and Tara are hopeful that their toddler, Raylan, will one day take over the family business and become the seventh-generation farmer to look after the land. For more information about the farm and farm events, you can follow Steamboat Acres on Facebook or go to their website. 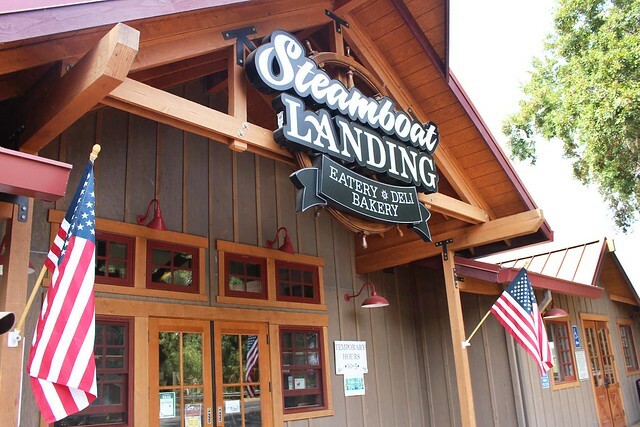 You can also visit their cafe, Steamboat Landing, for delicious salads, sandwiches and baked goods featuring farm fresh ingredients. CSA members - head on over to our online Farm Stand Market to customize your upcoming delivery. Market is open from noon on Thursday until 6 p.m., 2 days before your scheduled delivery day. After you confirm your produce items, click the orange button "Confirm and Continue To Other Farm Products" to add the products to your delivery.